Pricing: Current rate for Daily Care is $4.25 per day per alpaca. Board includes feed, pasture cleaning, toenail trimming, an annual immunization, routine worming and Vitamin AD for crias, basic halter training as needed. Occasional treatment fees apply for minor problems, or for treatments prescribed by a vet. Vet visits, shearing, shows and transport are additional. 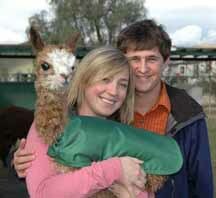 Alpacas at Windy Hill offers state-of-the-art boarding for your alpacas. We have lots of room on our 25 acres. Unlike many western alpaca ranches, we have the benefit of our own well, so we have irrigated pasture available for your alpacas. Fleece stays cleaner on grass, and alpacas are happier because they always have something green to nibble. Our grass is dormant for only 3 months out of the year. 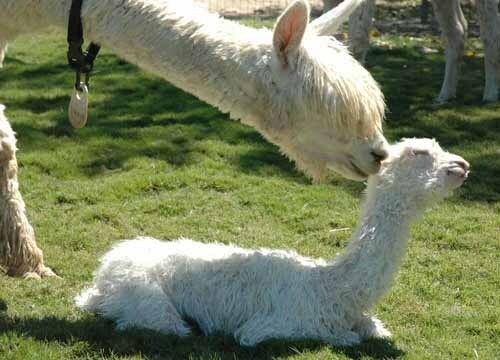 We can accommodate breeders with only 1 alpaca, as well as breeders who own many alpacas. Doug and I are full-time ranchers, so we are almost always here to care for your alpacas. We have full-time staff who clean the pastures and feed the alpacas. We have been in business for 13 years, and care for over 200 alpacas, so we've had lots of practice dealing with daily care issues that many smaller herds never see. We work closely with our local veterinarian, Dr. Jana Smith, hosting a weekly time for routine vet procedures. She is also on call for emergencies. Our goal is to have a no-stress environment for both you and your alpacas. The alpacas remain healthier when they are in a clean, quiet space, and you will not be stressed about how your alpacas are being taken care of. They are in good hands with us.